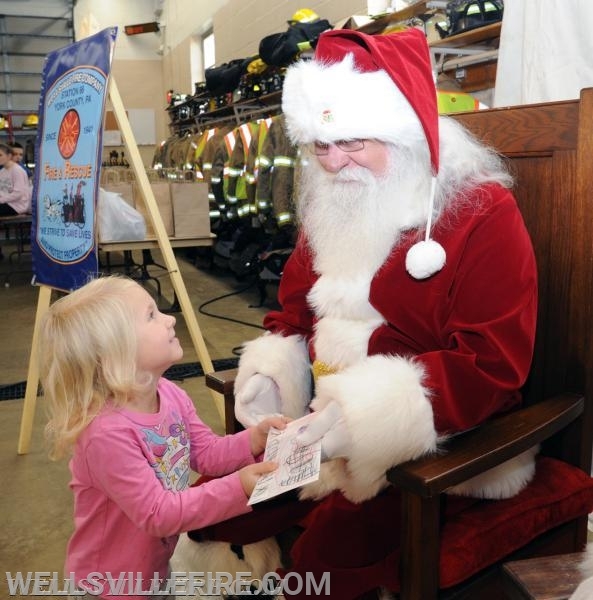 Wellsville Fire Company will once again hold it's annual Breakfast with Santa. Come have your picture taken with Santa, make a craft to take home and eat breakfast! Saturday, December 1, 2018, 8 to 11 am. Children under 10 are free, children age 11-15 are $5.00 each, 16 and older are $7.00 each. We are once again accepting non-perishable food item donations for distribution to local families in need. Please register by November 24, 2018 using the link below or by calling 717-432-5428 and leaving a message in the Event Mailbox.